At the heart of some of Bristol’s most innovative technology projects and research is the University of the West of England (UWE Bristol). Home to the Bristol Robotics Laboratory (BRL), a UWE Bristol and University of Bristol partnership, as well as Future Space – the University’s flagship enterprise and innovation facility, UWE Bristol is heavily involved in innovation across the region and connects the area to worldwide science and technology in the process. People who struggle to walk could soon wear robot-assisted trousers thanks to an ongoing project involving seven UK universities including UWE Bristol. Material scientists, roboticists, electronic control engineers, clinicians and other experts are looking to design ‘smart’ socks and trousers containing unobtrusive robotic components and sensors. These aim to help the elderly and others to achieve better and faster mobility. The ‘Right Trousers’ will be less cumbersome than existing exoskeleton devices with 3D printing technology producing the soft, thin composite materials for the garment. UWE Bristol’s Dr Ailie Turton, an Occupational Therapist on the project, is leading its User Perceptions element. When interviewing potential users to find out their requirements, she asked them if they preferred the trousers to be hidden or visible. “Some would prefer a hidden garment, while others think it’s helpful to have a signal of impairment to the outside world so that other people are a little gentler when moving around them,” says Turton. First prototypes are set for 2018. Our location, shopping habits, even our contacts list – these are some of the pockets of information we gladly or unwittingly forfeit to companies online. But what if we, and not businesses, could be in control of our own data? A team of researchers from four UK universities, including UWE Bristol, are developing the Hub of all Things (HAT), a micro-server that collates our personal information from cyberspace and gives access back to us. Once commercialised, the platform could allow us to sell snippets of data to companies as and when we choose. UWE Bristol’s Professor Glenn Parry, a researcher on the project, assesses our online vulnerability based on the data we give up. “At the moment we haven’t really seen companies use our data maliciously, but the opportunity is there and this is pretty scary,” says Parry. “We want more people to be aware that they can be potentially vulnerable when downloading free apps or filling in consent forms,” he says, warning that this is a way for firms to ‘skim’ our data. Connected Autonomous Vehicles (CAVs) are set to be a common feature of our society in the next 20 years. To pave the way for these driverless cars, the VENTURER project aims to understand how users might respond to and interact with this technology. 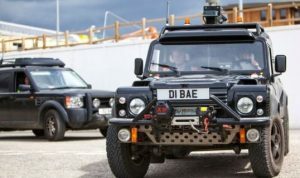 The research, taking place out of Bristol Robotics Laboratory, involves a consortium of companies looking to plug the gap between technology, the road network and the user. Through a series of trials, the researchers are assessing how the driver takes back control of the vehicle when he/she needs to and how to pass control back to the car. These tests take place both in a simulator and in a real car with autonomous capability. The research hopes to contribute to understanding what systems and procedures need to be in place by the time driverless cars are on our roads. “While to date most research into CAVs has focused on highway (motorway) driving, the VENTURER project is investigating operation in urban and suburban situations, which can be far more complex,” says Professor Tony Pipe, BRL’s deputy director. The University is also involved in the Flourish project, helping to develop a CAV that integrates the mobility needs of older adults within a secure and connected infrastructure. Many have heard of 3D printing, but perhaps fewer of us know about 2.5D printing. This method creates texture as part of the image – currently impossible with 2D digital print technology. This means you can feasibly reproduce a Rembrandt and replicate the artist’s brushstrokes. Doctor Carinna Parraman is leading a project to investigate how 2.5D can best help professionals working in the creative industries. Her research entails breaking the image into a series of vector paths before these are sent to the 2.5D printer. Using a computer-controlled system, the printer’s painting rig uses brushes and drawing tools to replicate the contoured image by applying varying amounts of pressure on the paper/substrate. Parraman’s work aims to help better understand 2.5D printing and revolutionise how creatives use the process in their work. 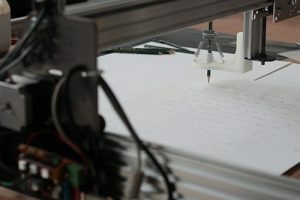 “This research has the potential to create an alternative methodological approach that bridges the gap between drawing tablets and digital printing, and is aligned more closely to the creative arts and creative industries,” says the academic, who is also researching 3D printing. ClairCity is a pan-European project to reduce air pollution and improve citizen health in cities. UWE Bristol is technical lead on this scheme. 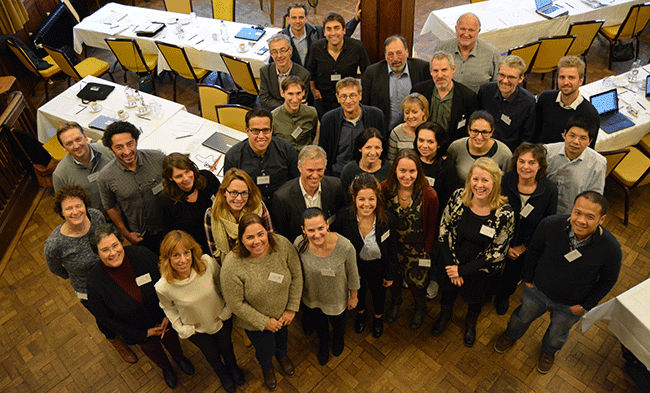 By involving six cities and regions in Europe to determine the best way to reduce pollution, the project aims to model citizens’ behaviour and activities to enrich public engagement with national and EU level policy-makers about air quality and health. One way it hopes to achieve this is by using technology. A smartphone app, still in development, is set to help users and local organisations improve their transport choices and understand the health impacts of air pollution. It is also developing an online game, tailored to each city, which allows people to determine their way to a better, cleaner, less polluted future. Their decisions in the game will help shape the necessary tools for policy-makers to work towards improved air quality and reduced carbon emissions. Citizen workshops, online surveys, school competitions around the environment will also provide data to determine how best to create cleaner cities and regions in the future. 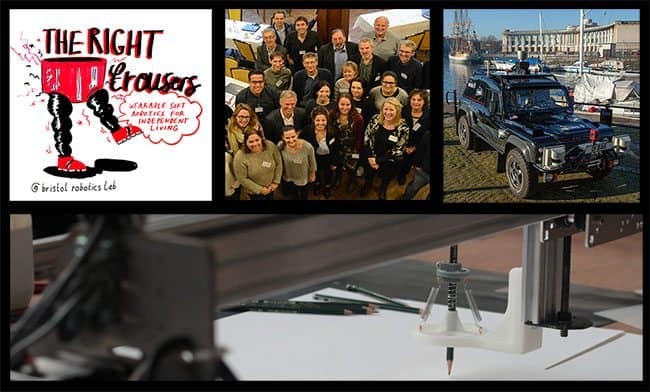 ClairCity involves citizens from Amsterdam (The Netherlands), the Aveiro region (Portugal), Bristol (UK), the Liguria region (Italy), Ljubljana (Slovenia) and Sosnowiec (Poland). Find out more about UWE Bristol by checking out the UWE Bristol website. For events and business updates, follow their Twitter feeds here: @UWEEvents and @UWE_Business. Content writer at the University of the West of England (UWE Bristol). Exploring and writing about exciting research, business and innovation topics.